Touch Information kiosk it's an automated software and hardware system, designed primarily to provide background information or advertising. 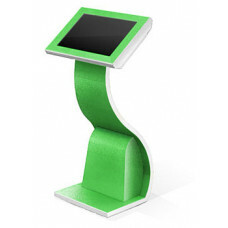 Ergonomic and vandal device can be equipped with connectors USB, fiscal register, thermal printer, bill acceptor, barcode scanner etc. 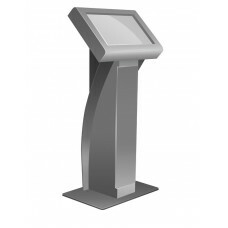 It intended for installation in banks, hospitals, hotels, museums, showrooms, presentations, shopping centers, etc. 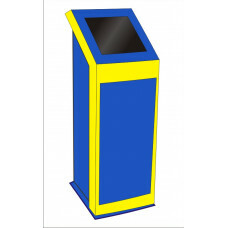 Sensor kiosk Alpha is a new addition in the series of kiosks Alpha. 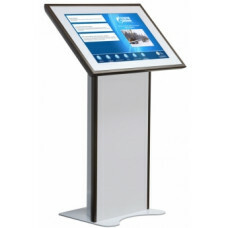 Sensor kiosk Alpha-T 32 created ..
Touch information kiosk Cooper is one of the budget models in line information koskov and is designe.. The series terminals Corsair differ outwardly simple and stylish in design. New widescreen kiosk is ..
Touch information kiosk 22 Grace" is one of the best lines koskov Grace and is designed for installa..